Adrian Brown took the following image of M109 (NGC 3992) in April 2007. He used a clear infra-red blocking filter and a light pollution filter with an ATIK ATK16HR camera through a Skywatcher 80ED Pro refractor at f7.5. This was guided using an ATIK ATK-2HS camera through a Skywatcher 80T refractor. The set up was mounted on a Celestron CGE mount. The image is comprised of twelve 10 minute exposures. Chris Newsome captured this image of M109 in January 2006. 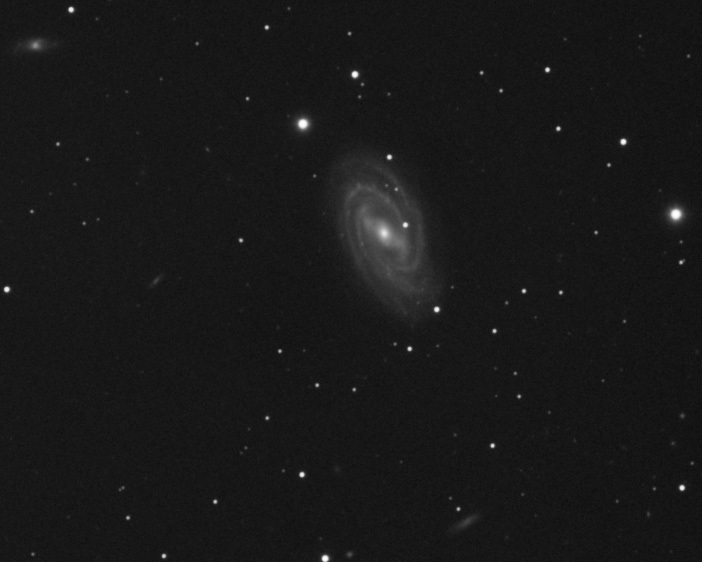 This barred spiral galaxy appears as the fuzzy patch just below the centre of the image. 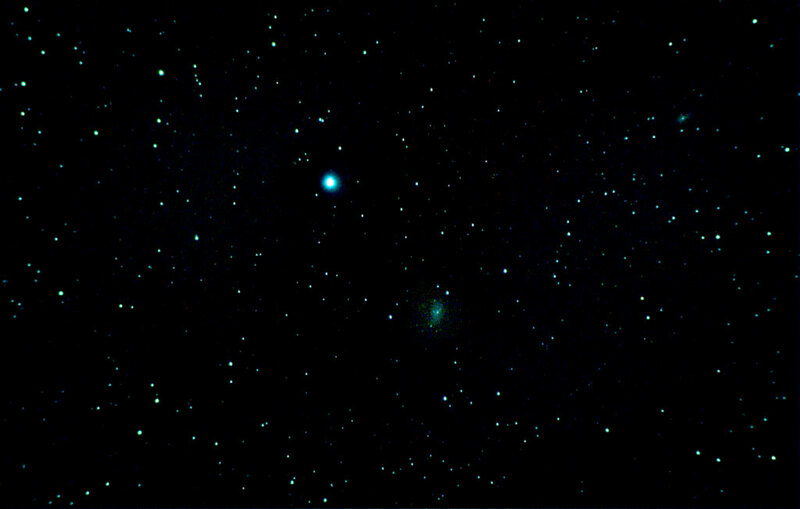 The very faint blob three quarters of the way from M109 to the upper right corner of the image is the 10th magnitude spiral galaxy NGC 3953. The bright star above left of centre is Phecda (Gamma Ursae Majoris). Chris comments that he will endeavour to take a better image in due course!